I wanted to write to convey a huge thank you for 30 books you very generously provided for Powell Corderoy School. Being Safer Internet Day this week they have been a valuable resource to use throughout the school. It was so thoughtful of you to think of us and the gesture was much appreciated. I have mentioned you in our weekly newsletter! We would like to kindly Thank you for your generous donation of the Barney and Echo books, Caught in the Web, that have been sent to our School. We know these resources will benefit our children and they will all enjoy having the opportunity to read them. “Thank you ever so much for your recent correspondence and also for sending me a copy of the information on the Barney and Echo books. "It's a safe way to introduce these topics (drugs, tobacco and alcohol) to schools. It's simple to use and generally school teachers are not equipped to tackle these issues alone." “We are fully committed to educating children on issues such as anti-social behaviour, we operate our business with three key values one of them being ‘to treat people how we like to be treated. "If this was adopted everywhere in society we believe that anti-social behaviour would be greatly reduced. 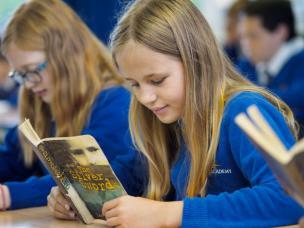 Kier kindly sponsored over 1000 resources for local Primary Schools. “School children play a part in all of our futures and success should be rewarded to encourage and motivate them. The main attraction for Kier regarding ‘The Bad Apples’ books was the way that they tackled different issues surrounding children nowadays but also had a real message at the end of each story that would help them realise the difference between right and wrong. I am writing to say a huge thank you for sending copies of 'The Bad Apples' books to our school. We are grateful to Kingstone Ornamental Stoneware Ltd to sponsor these resources for our school. I have read the story at the whole school assembly as part of our PSHE and Values themes. Indeed the story is very relevant to help the children to deal with some difficult issues in everyday life. We also used the books during Anti-Bullying week in November 2017. 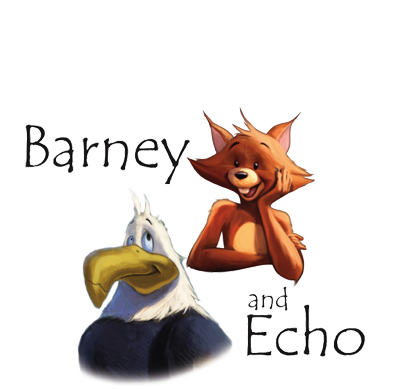 The children thoroughly enjoyed the story of Barney and Echo and have showed good understanding of the effect of anti-social behaviour on people, animals and our environment. The children have also learned the importance of values and that we should treat each other with respect and kindness. As a Values-Based school, this resource fits really well with our school values and ethos. We have all benefitted from this resource.